At Camino we care about the wider impact we have on the world around us. We try to run our restaurants in a way that is good for everyone, from using the best quality ingredients in our food, to making sure everyone who works with us enjoys what they do. Everyone at Camino is committed to sourcing food ethically, working to reduce our environmental impact, treating employees and suppliers well, and helping with charities where possible. Here’s how we do it. Our Executive Chef, Nacho del Campo, works with the best suppliers to serve top quality, seasonal ingredients, that are sourced as locally as possible. We’re extremely passionate about our meat, and that includes sourcing it ethically, from farmers who can guarantee the best quality of life possible for the animals. 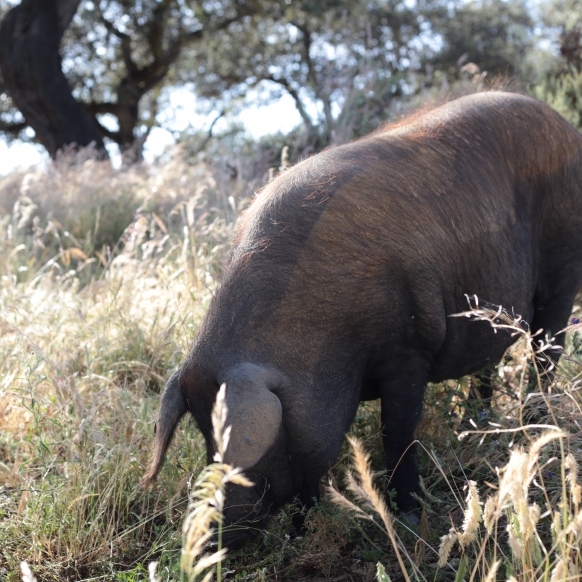 Our primary jamón supplier, Extrem, rear their black Iberian pigs in such incredible lifestyle conditions. Our beef comes from Asturias, and we use ex-milker cows that are at least five years old (this is much older than the average age of slaughter in the UK), and are grass-fed and free to stroll over the lush hillsides. All of our fish is sourced sustainably from British coasts, from a father and son team in Cornwall, and is MSC approved and line-caught. 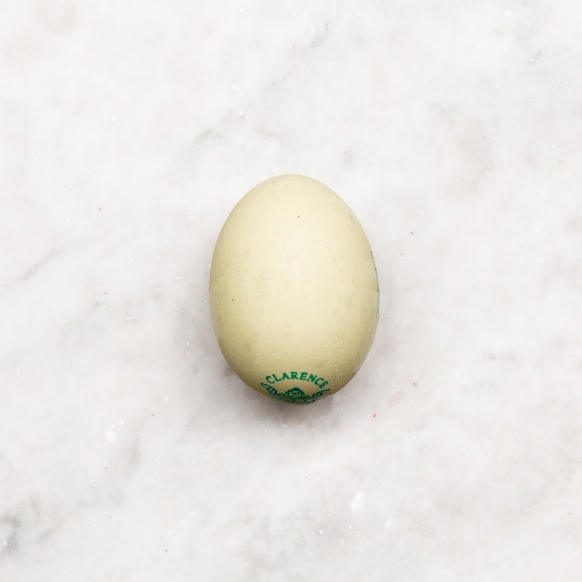 We work with Clarence Court to source our top quality free range Old Cotswold Legbar eggs from happy chickens. 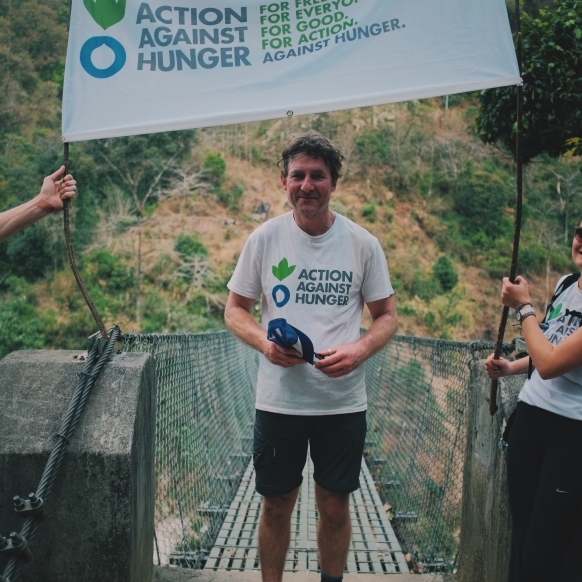 We’re very proud so say that we’re now in our third year of working with Action Against Hunger, an incredible charity that works to eliminate child hunger with vital nutrition programmes around the world. We donate 50p from every dish of Croquetas sold, which has raised almost £46k to date. Our Managing Director, Richard Bigg, also recently took part in a gruelling six-day trek through Nepal, raising almost £9k for the charity. Read more about our partnership with AAH here, and Richard’s trek here. Camino would be nothing without its people, and as such, we always do our best to ensure the happiness, progression, and support of our staff. We have a fantastic training and development programme for all new starters, and offer competitive pay and sales incentives. 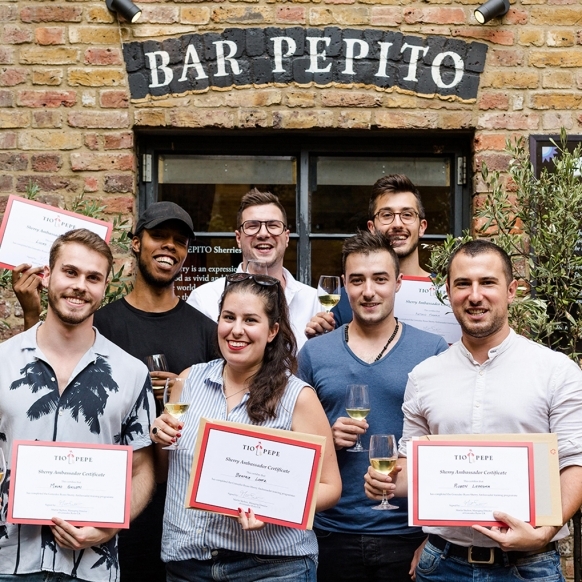 As a company, we have a heavy focus on upskilling and improvement, and our staff are offered industry standard hospitality qualifications, including monthly wine training and WSETs. We want our employees to enjoy working with us and join us on the ‘Camino’, and that’s why we run staff trips to Spain four times a year – to meet our suppliers, and soak up some Spanish culture (plus plenty of wine). As a restaurant we try to minimise our impact on the environment as much as possible, following the ‘Reduce, Reuse, Recycle’ mentality. We work with PURE Water Company, whose ethos is built on a philosophy of sustainability. 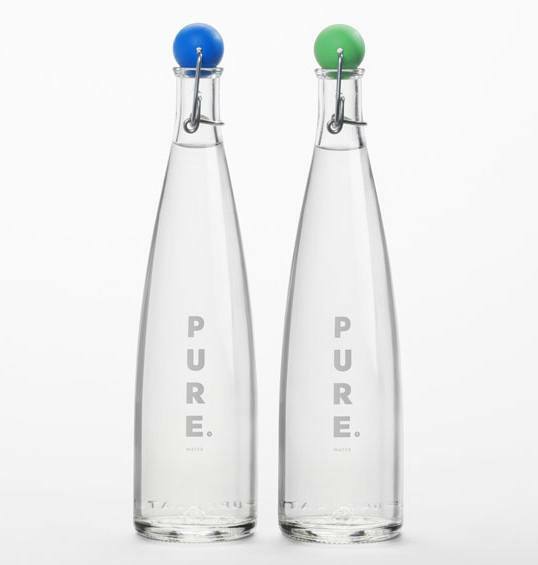 Working with PURE means we are able to filter, chill and bottle water on site using local mains water, significantly reducing the environmental impact of plastics and our carbon footprint.